Home » Car » China » Isuzu » Isuzu Mu x » Isuzu Mu-x » Isuzu Mu-x 2017 » Isuzu Mu-x 2018 » Isuzu Mu-x vs Toyota Fortuner » Isuzu Mux » Mu-x 2017 » Mu-x 2018 » Mu-x Price » Mu-x Review » Mux » Toyota » Xe Isuzu Mu-x 2017 » Isuzu MU-X Gets China Market, Interior More Elegant! 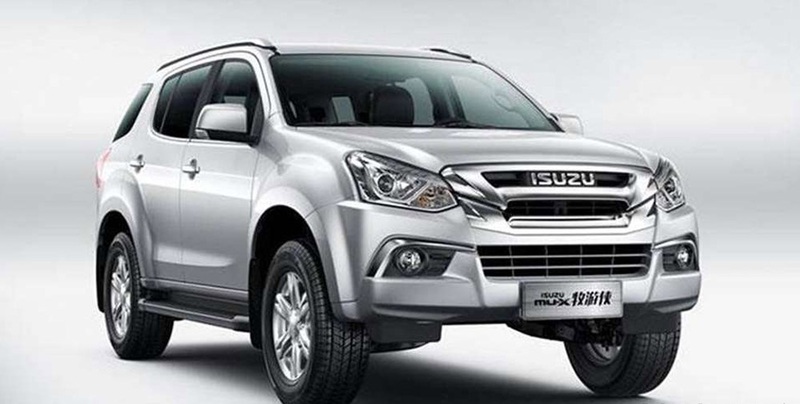 Isuzu MU-X Gets China Market, Interior More Elegant! Isuzu MU-X is a ladder frame SUV that should be able to stand in line with the Mitsubishi Pajero Sport and Toyota Fortuner as the Japanese SUV for the new rich. Unfortunately, to win the hearts and accounts of the new rich people, a car must look dashing or fancy. For both of these, Toyota Fortuner and Mitsubishi Pajero Sport do not have to bother, but unfortunately Isuzu not really understand the meaning of luxury according to consumers of this class. Front Isuzu MU-X has been handsome from the outside, but the interior design is not special and even show their expertise to design a commercial car. Unfortunately, while features such as stability control, keyless start, tire pressure monitor, 360 degree camera and abundant storage is not a silly selling point. Then, whether Isuzu MU-X Chinese version the same? Or even more? Yes, Isuzu MU-X has reached the plain of China, and the outward appearance is relatively the same as Isuzu MU-X version here. The difference is, there is no variant Royale after 20market aftermarket. Open the door, it will be felt that big changes MU-X China against local MU-X is in the cabin. The dashboard is very different, even the door panel just new design to be the same as his dashboard is supple. This is good! More modern impression, no more cheap and spartan taste of commercial cars. The wooden panel on the dashboard is nice, and the steering wheel is designed to be cooler than the Isuzu MU-X steering wheel we know here. 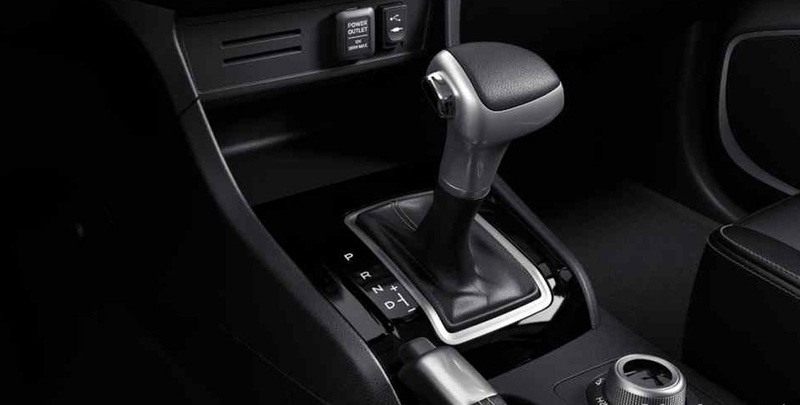 For the 4WD variant, the 4WD activation key Shift on the Fly remains easy to operate and does not look as cheap as a gas stove knob. The gear lever is actually a bit oversized and not in sync with the cabin design, but overall, this new cabin is very tempting. If it has been satisfied by the design of the cabin, maybe its features will be satisfactory as well. 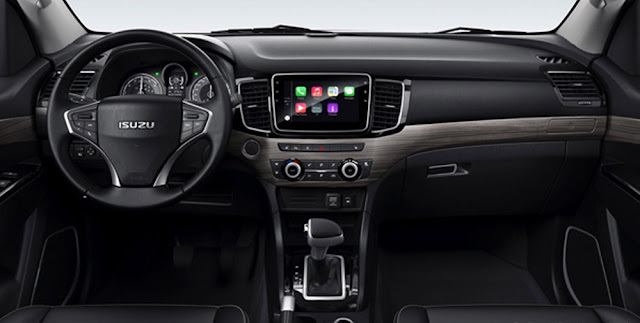 Aside from the mentioned 4WD option, Isuzu MU-X China is ready with electric seat, keyless start, stability control, hill descent control, auto climate control and seat heating as standard. 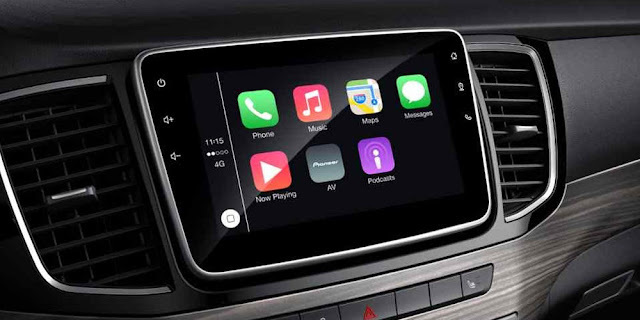 The new unit head Isuzu MU-X is compatible with Apple CarPlay and Baidu CarLife. Baidu? Yes, it's for the Chinese market, so the Baidu system is prioritized. For the Chinese market, the Isuzu MU-X does not use a 2,500 cc turbo diesel engine like ours, but a 1,900 cc BluePower turbodiesel coded RZ4E-TC. Although only 1900 cc, 150 PS power guarantees and 340 Nm of torque has been secured on paper. Create an unwanted little engine for performance or prestige reasons, Isuzu MU-X China is also available with a choice of 3,000 cc turbo diesel engine powered 177 PS and 430 Nm of torque. Hm, still a little difference with Pajero Sport Dakar and Trailblazer huh? According to updetails.com, in addition to available for the Chinese market, Isuzu MU-X 1.900 cc engine will soon greet the Philippine market with similar specs. If for the Indonesian market should not be too hopeful first, given the Isuzu MU-X facelift just a month old here since GIIAS 2017 yesterday. Well, hopefully Isuzu MU-X in Indonesia can get a similar update in order to improve its competitiveness. What's your opinion? Convey in the comment field! 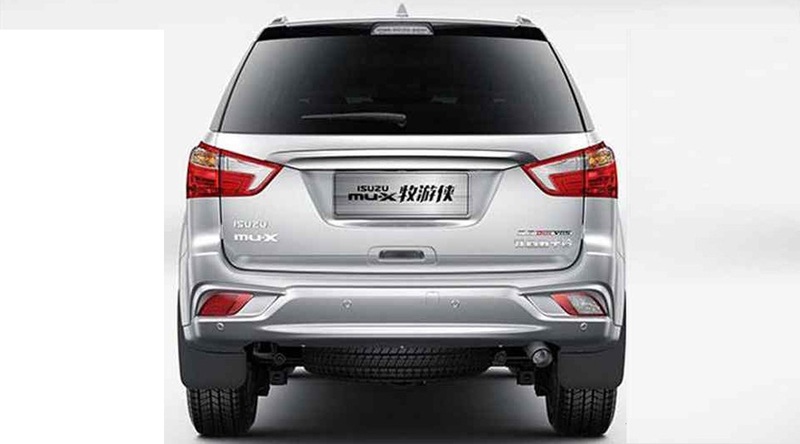 0 Response to "Isuzu MU-X Gets China Market, Interior More Elegant!"